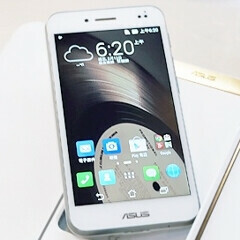 Asus is getting ready to announce new products at Computex on June 2, and one of them might be the PadFone S. However, this isn’t a new device in the true sense of the word. It’s a non-US version of the Asus PadFone X, which was announced by AT&T back in January. Of course, as you may know, AT&T still hasn’t launched the PadFone X since then, despite the fact that it released several promo videos showing it. The PadFone S seems to be identical to the PadFone X, thus comprising of a 5-inch, 1080p Android KitKat smartphone, and an 8.9-inch tablet dock (with a 1,200 x 1,920 pixel resolution). The smartphone features LTE, a 13MP rear camera, a 2MP front-facing camera, quad-core 2.3GHz Snapdragon 800 processor, 2GB of RAM, 16GB of expandable internal memory, and a 2,300 mAh battery. The tablet dock provides an extra 4,990 mAH battery, dual speakers, and its own 1MP front-facing camera. Reportedly, the Asus PadFone S will be available in Taiwan (and possibly in other markets) starting July. We’ll see if AT&T launches its PadFone X by then. Why not just stick to the infinity instead of making another new padfone with another new dock? Or was making the infinity too expensive and it was just a show piece, because this one looks a bit cheaper? Why would you make a bezel that big for the tablet? Wow, not only did they get the specs wrong (2300 mah + 1200x1920), they also don't mention the important parts about this setup... Wireless charging back cover (built in), waterproof "coating", removable back cover, and price "converted" around USD $660-700 for BOTH phone and tablet dock! Thanks for the info. Does make it more interesting. I can say that the bezel doesn't bother me I actually like it because I have a tendency to press the bottom corners of most larger devices screens with narrow bezels. Just some food for thought. It's does make the device a little bigger but not too bulky.